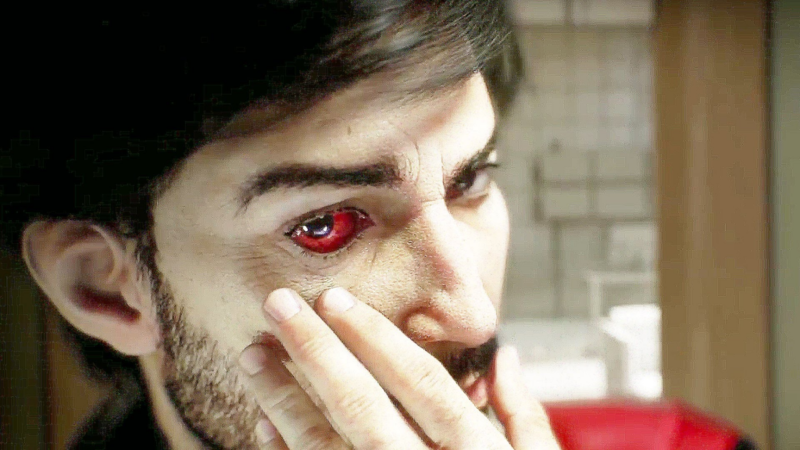 Arkane Studios’ Prey is finally here. Though it borrows the name and the basic hero-versus-aliens concept, this new release has nothing to do with 2006’s Prey. That was a sci-fi FPS with broad themes and elements of Native American culture, but despite being well-received, it never actually received the sequel it deserved. This new Prey takes place in a world in which JFK was never murdered and went on to take the USA’s space programme further, faster, than he actually did. As Morgan Yu, you’re an everyman or everywoman trapped aboard a space station (Talos 1) following a catastrophic event. If you’ve played Dead Space and / or BioShock (and if you haven’t, why not? ), you’ll be on familiar ground when the game kicks off. 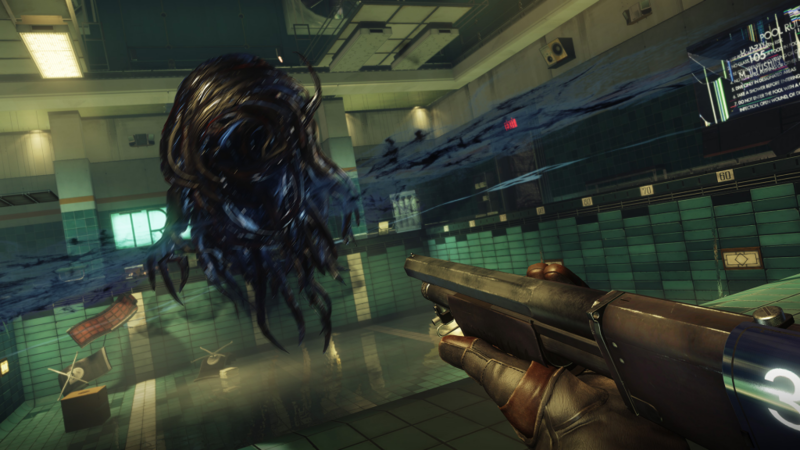 One major influence on Prey are the Dishonored games (from the same development brand, of course) and System Shock (some of Arkane Studios’ staff worked on the second game). To start with, you’re armed with only a wrench, which would do a fair bit of damage to a human enemy but leaves you at a disadvantage when facing the Typhon. There are different types to fight, including the common crab-like mimic, which has the ability to hide in plain sight as everyday objects. This, obviously, makes for an unsettling atmosphere: as creep around the eerie station’s corridors, that chair or mug or stapler could well be an alien in disguise, waiting for you to turn away from it so it can launch an attack. Other enemies include the Phantoms, huge things with the ability to fire different kinds of projectiles, as well as teleport. With their inky black bodies and diverse skills, the Typhon make for scary, interesting opponents, more memorable than some of those you see in similar games. Morgan has had his or her memories wiped, and so you need to gradually get your background pieced together; amnesia’s not the most original conceit to drive a game’s narrative on, but hey, it works nicely. It’s a convenient way to have you and the protagonist discovering things at the same time. The real joy in Prey is in its innovative gameplay mechanics, with one of the coolest having echoes of BioShock’s upgrade system. Morgan can take advantage of the experiments the Talos 1’s team has been working on (creating augmentations for humans using Typhon organics), to improve her or his abilities. These neuromods boost different aspects of Morgan’s skills and attributes, such as health, technical abilities, and more. Still, they do more than just this – such as shape-shifting. Yeah, that’s right: you get to play at the mimics’ game just like them, hiding as simple objects. This makes evading enemies later on a little easier, and is an absolute blast to play around with; it’s just one aspect that helps to give Prey a unique feel. Having these neuromods inside you might give you extra strength and skills, but they also stand to make the game a little tougher. How so? Well, around the Talos 1, you’ll encounter automated turrets that suddenly view you as an alien entity, opening fire on you without hesitation. It’s a nice touch, having the game compensate for your enhanced skill set in such a devious way. Another joy is the range of weapons. Rather than simply giving you the same old pulse rifles or flamethrowers, Prey equips you with such awesome weapons as the GLOO cannon. This fires sticky goo that freezes enemies in place so you can take them down, and also works as a solution for different puzzles; using this, you can build temporary stairs, fix pipes, stop electricity in its path, and other DIY chores. You’ll get to use traditional weapons too (pistol, shotgun), but the GLOO cannon, Q-beam, and others are the real stand-out creations. Throughout Prey, you’ll encounter other characters, survivors of the catastrophic incident like yourself. You’ll end up getting roped into side-quests, such as finding a serial killer, locating medical aids, and more, giving you more diversity outside of the main narrative. This also fleshes the world out, painting the story on a bigger canvas and asking more of Morgan than the standard tasks you’re handed again and again. The open structure of Talos 1 is incredibly effective too, making for a setting that feels organic and genuinely massive. You can go anywhere, though certain areas are closed off to you until you have the means to get through (finding a way to progress requires you to use different abilities or approaches); you can even leave the station itself and go for a space-walk, before returning through an airlock. As with Dead Space’s external sequences, Prey’s zero-gravity moments add to the atmosphere and make the overall setting feel more authentic. 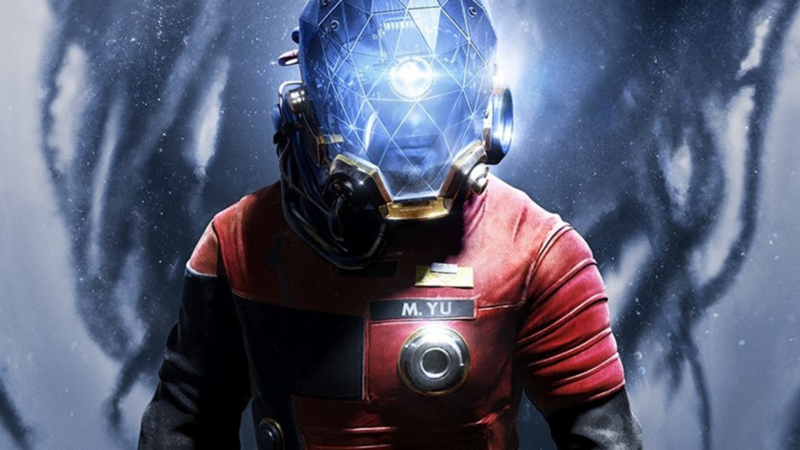 All in all, Prey’s a great sci-fi game that benefits from a strong setting, innovative elements (such as shapeshifting and the GLOO gun), and distinctive, unsettling enemies. 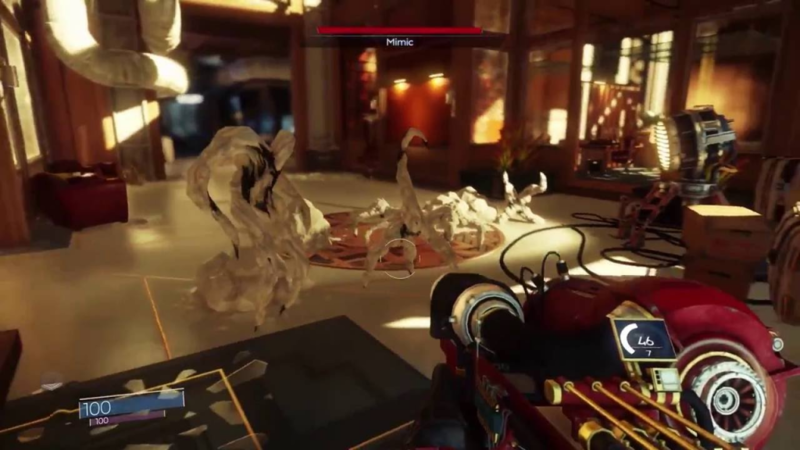 Prey might have touches you’ll have seen elsewhere, but also boasts more than enough freshness to make it a rewarding, exciting experience in itself.